Stress, the parent of anxiety and depression, is a signal to the brain to go into the survival mode. In this mode, the energy stocked within is diverted from the regular vital organs to the muscles and tissues responsible for preparing the body for a fight or flight response. Though for a small amount of stress, this phenomenon is natural with the body returning back to its normal state after some time. But, if this continues for long periods of time, the body can get out of balance.This unhealthy habit costs in long run by causing chronic diseases and organ impairment. 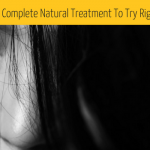 Natural treatments should be the first option to obtain a healthy body. The concerns such as stress, anxiety and depression which require mental, emotional and physical re-calibration, vibration medicines serve best. Essentially, these are any medicines that work to alter our energetic frequencies and raise them up to levels that promote self healing. Homeopathic remedies are one such frequency medicines. Homeopathic remedies for anxiety and depression work on the premise of treating the symptoms unique to an individual. It firmly believes that each person develops a different emotional state ( health concerns, traumas, or life experiences) to the same situation. Homeopathic treatment for anxiety and depression considers an individual’s unique emotional state and offer remedies that are very effective to raise inner vitality. Yes, it is understandable that the initial symptoms of anxiety and depression may get overlooked. Even your family members may look it as a routine stress and start taking it as a natural part of your psychology. This can have serious consequences in long term. We recommend using holistic treatments such as homeopathy which is all natural and safe. For symptoms limited in time and frequency , you can also use the exercises listed below. Anxiety and depression can be best treated in the initial stages . So it is recommended to not wait for the diseases to perpetuate and visit a homeopath on noticing early symptoms. Though homeopathy can successfully work with chronic cases as well through constitutional remedies but it may somewhat extend the time of recovery. A homeopath may also suggest some lifestyle, eating or habit changes if the treatment can be done even without a remedy. The best homeopathic remedy for anxiety, fear or panic is “Aconite Napellus” while for depression it is “ Ignatia Amara”. Before opting for self medication do consult a homeopath. If you have any doubt or need homeopathic advice, call me at (02) 9920 4006 and get a free 5 minutes general advice session. 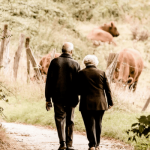 How to Effectively Treat Stress in Elderly?